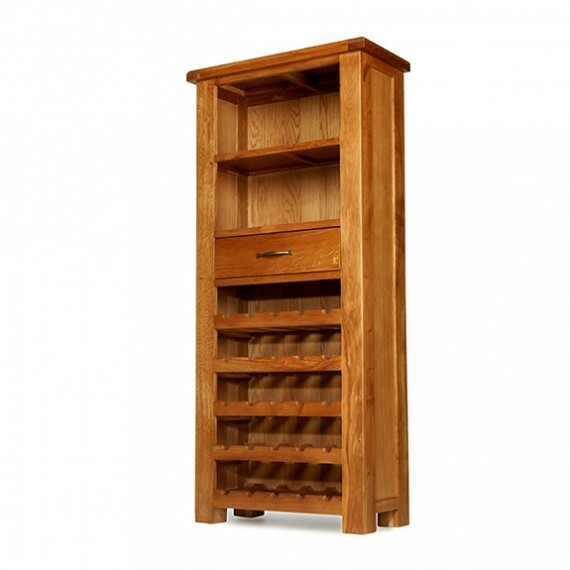 This attractive cabinet has a lot going for it, not least of which is the fact that it will hold 25 bottles of wine in its tailor-made rack. 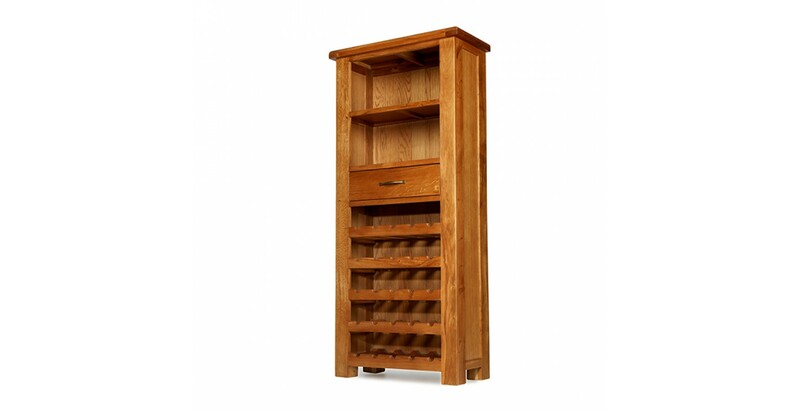 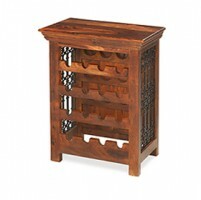 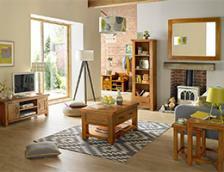 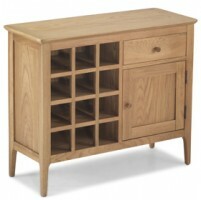 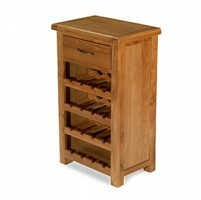 Elegant and timeless, it's been made from oak and finished with a wax lacquer so that its good looks will endure. 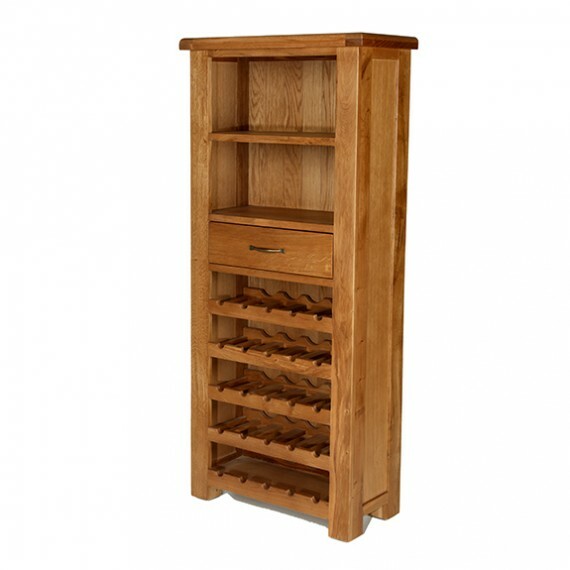 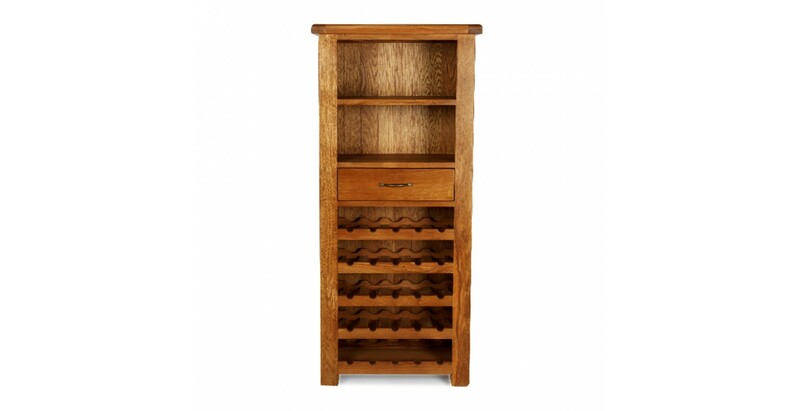 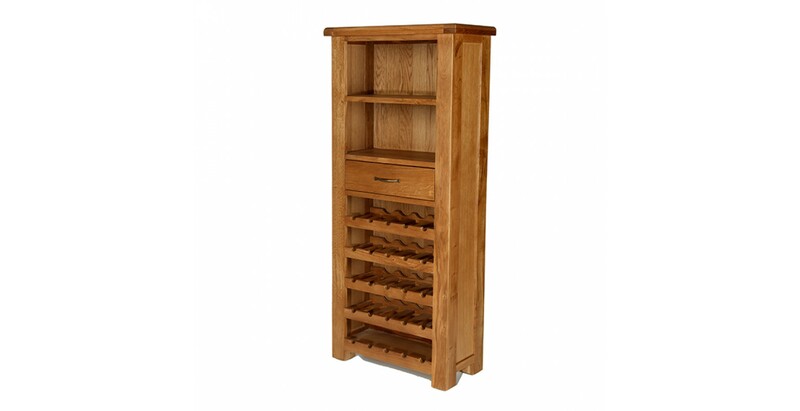 In the middle is a useful dovetailed drawer with brass-effect handle to keep your corkscrews at the ready and at the top are two shelves to keep your wine glasses neatly stored. 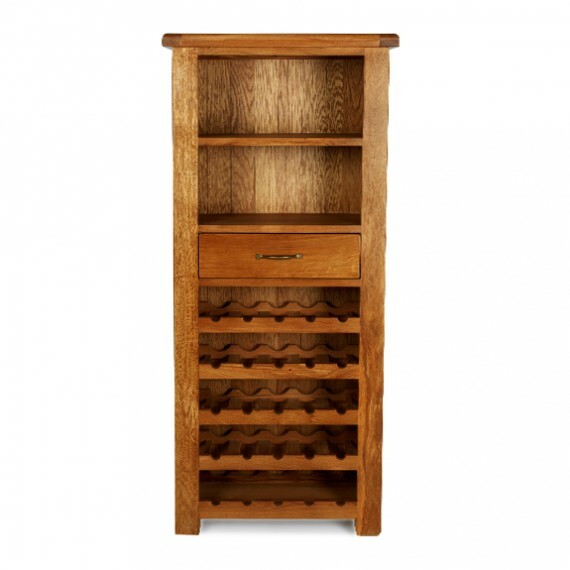 And, just like the best wines, this cabinet will age well too.